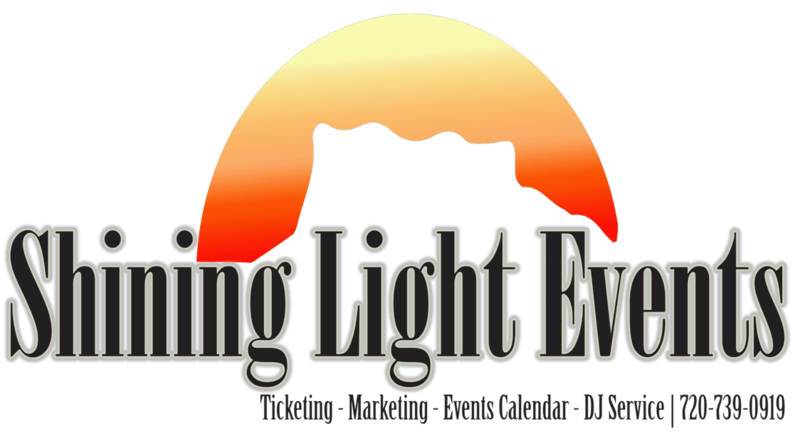 Testimonials – Shining Light Events, Inc.
Great events put on by Mike! Thank you for all you do! Love your events!! All event’s sold out and are organized well. Highly recommend!! Michael is a dedicated individual who sponsors unity for the community. It is advisable to attend his events and enjoy a great time with others within a soothing atmosphere. Excited for the future of Shining Light Events. Mike puts on some amazing events and pays crazy attention to detail to ensure guest and host alike have the best experience. They did a great job at our graduation party! Easy to communicate with and exceeded our expectations. Shining Light is AMAZING! They came out to our tailgate for Castle View High School and worked so hard the entire hour and a half! They were fun, exciting, and their mixes were spot on. I could not have asked for a better DJ and MC! If you are having any kind of event you should definitely call these guys, they will listen to what you need and then go above and beyond! I have been to 3 events arranged and promoted by Shining Light Events. Each venue was well organized and packed out through Michael’s amazing connections, ability to negotiate, and promotion skills using social media. Michael has a high level of integrity and work ethics.Michael is “gifted” in event planning and has many high-profile connections to make your next event a huge success! If you want to host an event, call the BEST! Call Shining Light Events! These guys are amazing !!!!!!!!!! Easy to work with great company!!!!! We have attended lots of events with Shinning Lights and they are ALWAYS fulfilling and fun and very well organized. Michael has wonderful connections to get the job done RIGHT!!!! If you are looking to promote your business or for someone to arrange a venue, Mike is the one to hire. An outstanding veteran owned company that understands how to reach the market and ensure that your event is positioned for success. Mike is always pushing the envelope so each event has the growth and return on time and investment. It’s great to experience a company with strong principles that exceed expectations. Thank you Shinning Light. Continue to Shine Brightly! An incredible organization dedicated to bringing amazing Christian and family friendly events to the castle rock and surrounding areas. If you want to scoop on family events, date nights, events to back the blue and military, then this is where you look! Michael with Shining Lights Events is great to work with. Shinning Lights Events is able to promote your event in a way to assure your event will be a success. I would highly recommend Shinning Lights Events to anyone who is planning anything from a block party to a concert. Amazing DJ and services thank you !! Loved working with Shinning Lights Events .. personable, quick response and follow up, timely and very organized.. highly recommended !!! Thank you Michael and team ! Excellent!!! Amazing sound and lights. I would recommend them for any event! Awesome company always keep you in the know! Amazing DJ and customer service! If you want top service, hire Shining Light Events! This is an incredible company! I gave short notice and they still over delivered! Amazing DJ service and best customer service ever! Highly recommend! Fantastic group to work with and DJ Dan was absolutely awesome! He took control and made sure our reception stayed lively and fun!!! Thank you!!! I have used this service with two separate businesses. My new membership has grown dramatically. My event doubled in size and reached far more PPL than I expected. A Big thumbs up for Shinning Light! Worked with Shining Light on multiple events and everything has run smoothly and very professionally. Michael is excellent to partner with! Great service. Great communication. Knows this business inside and out. Highly recommended! We needed to shine a little light on what is going on in our town. So glad these guys are here! Awesome people, and awesome service to our community! Well organized promoter. If you want your event promoted, Shining Light will fill the seats. His connections are unbelievable. Such a great resource for everything going on in town!! I don’t think you could ask for better support from anyone. Mike has been great working with the events we have done. He is very responsive. Great organization and great people. Always a good time! Mike did a great job organizing, marketing and executing my event. Already have hired him for another! Great “get the job done” attitude and very professional…I highly recommend giving him a call for your next event!